All you want to know about the Reunion and the GOTC! 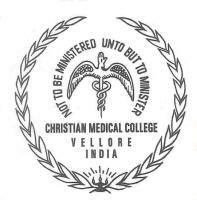 ​The first North American reunion of the Christian Medical College, Vellore was held in 1981. Ten families of alumni met at the resort 'The Castle' in Gatlinburg, Tennesse and it was enjoyable enough for the small group to do it again the next year at the same destination. 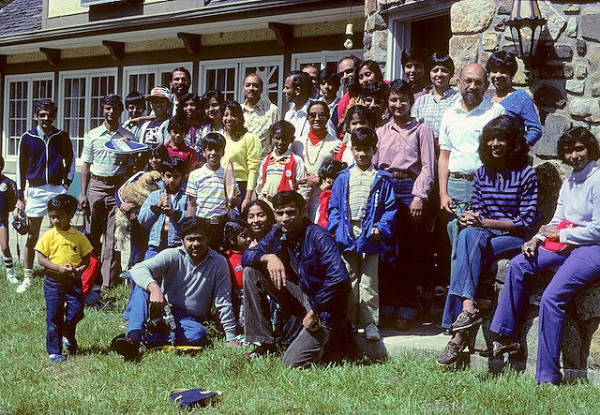 It was at the 1982 meet that it became to be called the Gathering of the Clan (GOTC) as it was indeed a meeting of folks, essentially friends who thought alike, that shared a common past. The group met to enjoy a look back, catch up and share and also enjoy a song and a dance to remember the good old days. Over the years it became a larger group that met annually and the event, over an extended weekend got more organized. A CME program was added to enhance the benefits of attendance together with a half day picnic to a place of interest. The family that included children had separate programs during the CME sessions. Surprisingly, at least to some, the younger alumni from the batches beyond the mid eighties appeared to have lost interest in attending or hosting the GOTC. It came to a crunch before the organization of the 35th reunion in 2016, when there were no takers for the event of the following year. The 2016 version was therefore assumed to be the last and attracted a record attendance of 330. However, during the general body meeting of 2016 GOTC the attendees overwhelmingly supported not only the continuation of a reunion but also voted for the current format. A change for the better has been a very sincere and concerted effort to build a broader and more inclusive group of alumni and friends. Alumni that worked in challenging circumstances were invited as special guests. They shared and inspired the rest. The Nursing colleagues join in 2019 with a dedicated scientific session. They add to the vibrant flavours of the reunion menu. Indirect fund raising, that was discouraged in the past, was included to fashion a purpose behind the fun and fellowship. Relevant programs to support were identified. The Alumni Dsitress Fund was one of them. There are many more like the Hermon Memorial Fund for Radiology and the Prakash Khanduri fund to support surgical residents. The Vellore CMC Foudation has also promised to pitch in to help with its good offices towards the publicity and support in the fund raising efforts. The North American Association of Alumni was formed in 2017 and has the GOTC as the main annual program. The association will assist in organizing the event and share the burden of labour with the host committees. Typically the extended weekend program begins on the Thursday before the third or fourth Saturday of June, with registration and an informal meet and greet around the registration area. A welcome dinner follows with an introduction of the program by the hosts. Bits of entertainment is included thereafter. Friday and Saturday mornings are for a roughly four-hour CME and other academic sessions each. After a snack lunch on Friday the group is off for a half day picnic. Friday dinner is Indian and everybody is in desi clothes. There are a few items by alumni; songs, instrumentals or skits. Bollywood and baila dancing follows till midnight. Saturday lunch is usually enjoyed batch wise or group of friends together. This is followed by a class wise and group photography session and the grand and formal Silver and Blue Banquet crowns the reunion. The special guests speak, an update from the directorate is heard, sing song, entertainment and dancing follows. Unknown to most, there is a large group that plays late night games in private spaces! No, not what you are thinking! It's a game of Catch Phrase that goes on noisily to the wee hours of the morning after, from Thursday to Saturday nights! The reunion celebrations end with a service and memorial on Sunday morning. The familar seven fold amen vesper is something that holds everybody together in spiritual union. Farewell, it is till the following year. we thank them for their vision and spirit!